Dr. Joao DeAndrade graduated the medical school from the Federal University of Rio Grande do Sul School of Medicine and completed his residency program at the Jackson Memorial Hospital. 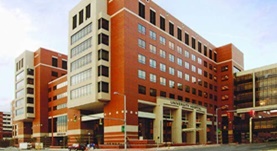 A fellowship in pulmonary disease and critical care medicine at the University of Alabama Medical Center followed soon after that. Dr. DeAndrade is specialized in pulmonology and board certified in critical care medicine and pulmonary disease. He has been in practice for more than 20 years and is affiliated with University of Alabama Hospital. During his career, he has also published several writings of medical interest and has run three clinical trials in partnership with other doctors. Dr. Joao A. DeAndrade has contributed to 3 publications. Disparities in lung transplantation before and after introduction of the lung allocation score. Wille, K. M.,Harrington, K. F.,Deandrade, J. A.,Vishin, S.,Oster, R. A.,Kaslow, R. A.; J. Heart Lung Transplant.. 2013 Jul. Zolak, J. S., de Andrade, J. A.; Immunol Allergy Clin North Am. 2012 Nov.
New insights into the pathogenesis and treatment of idiopathic pulmonary fibrosis. Ding, Q., Luckhardt, T., Hecker, L., Zhou, Y., Liu, G., Antony, V. B., deAndrade, J., Thannickal, V. J.; Drugs. 2011 May 28.